Wow! It's hard to believe 2011 is almost over, but before this year is over we have some more eye-candy to share with you from our amazing and creative design team. 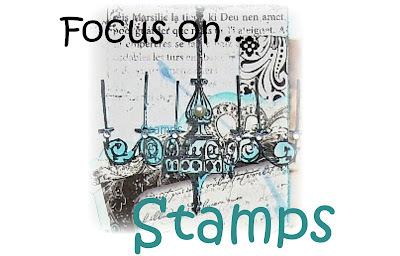 Today's focus is on stamps, have you checked out the gorgeous stamps that are available with each of the Bo Bunny collections? Clocks, Snowflakes, Leaves, Script stamps, Chandeliers....so many beautiful designs to choose from. 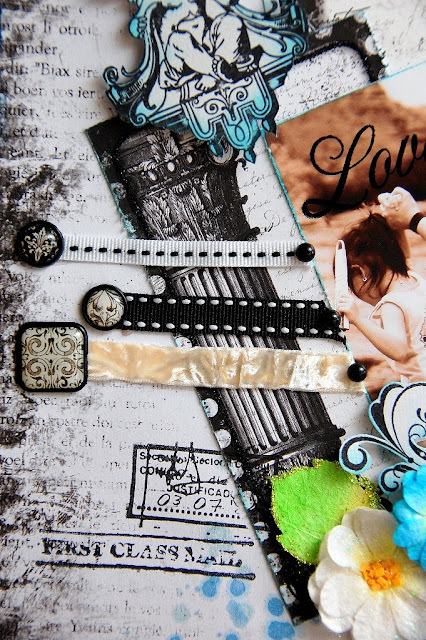 Check out what our designers have come up with using Bo Bunny Stamps! 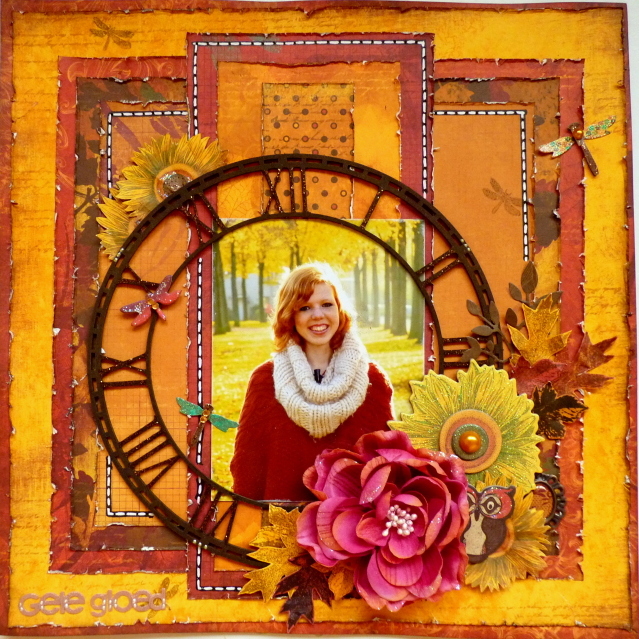 Romy used the beautiful and intricate Leaf stamp that coordinates with the Forever Fall Collection to create her lovely layout! I love the way she stamped her image and then cut it out for a more 3D effect. 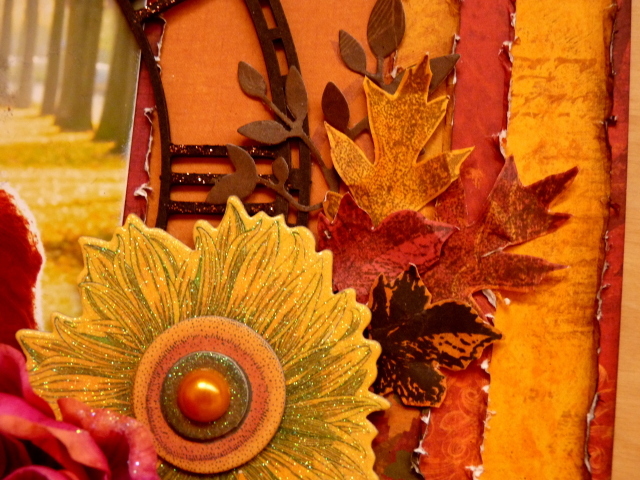 Designer Note: I decorated my layout with the gorgeous Forever Fall stamps. I stamped the leaves on a few different sheets of patterned paper and fussy cut them along the edges. To give the leaves a vintage touch, I gently folded them a bit. 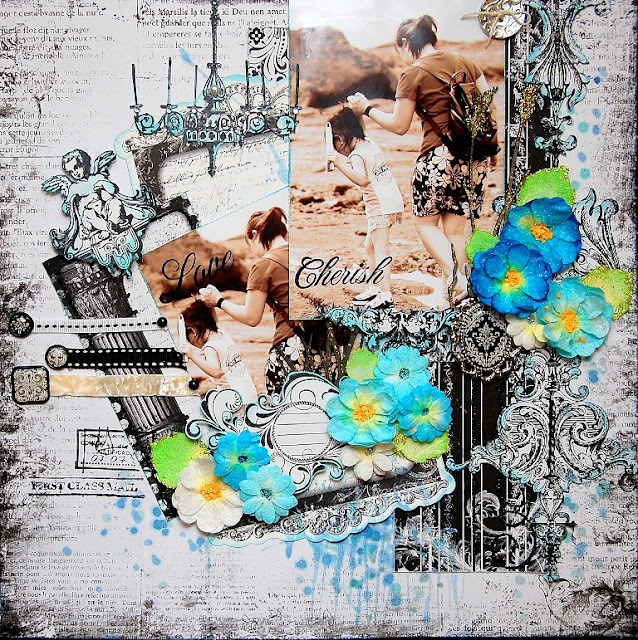 Irene used stamps for 4 different collections to dress up this page of her and her daughter, as well as one of Bo Bunny's Journal stamps. I just love the way they look with the Enchanted papers! Next time you are looking to dress up a page or card, think 'Stamps', they add a beautiful touch to your projects! Beautiful Layout girls! Romy; your LO has amazing colours!!! love the use of stamps! I forget I can use them on layouts and always seem to save them for cards. Romy - wowza! Those colors are riveting. wow - I am a fall colors girl so you are speaking tome. Looks great. Need to pull out my chandilier stamp. So beautiful! 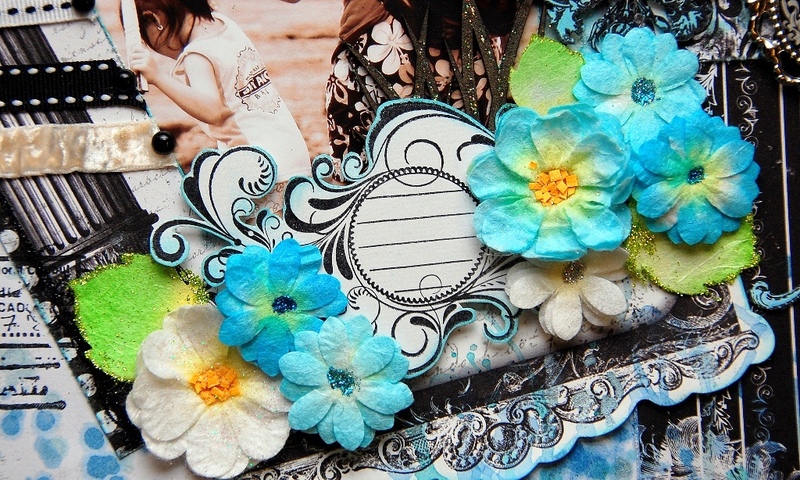 I love the flowers and leaves made from the stamps. This is an awesome layout! Just too beautiful!